The metrics and the type of widget are two important elements of your report, but time is also a crucial part: it adds context to your data and allows you to see the evolution of your efforts. At DashThis, we have three types of date ranges available to help you create the reports you need: according to the standard calendar, with flexible dates, and on an ongoing basis. These date ranges allow you to browse through past periods and see your data’s history. 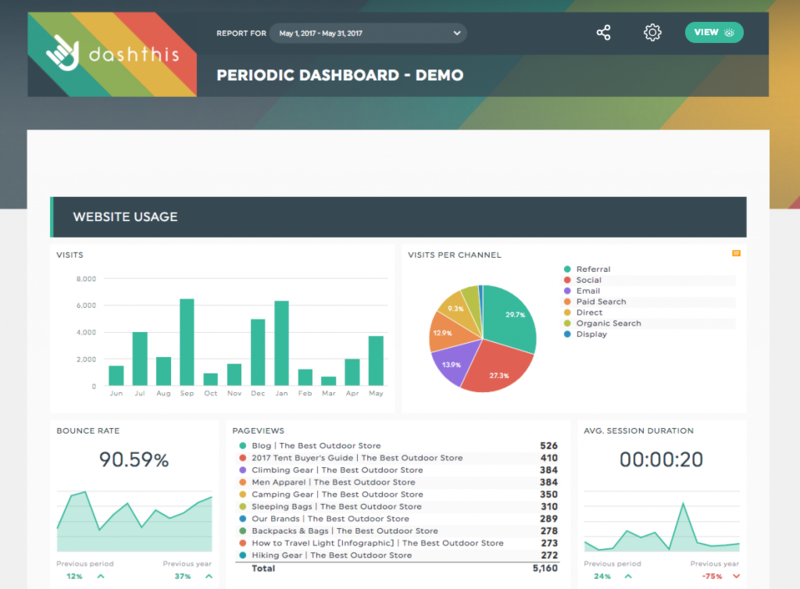 DashThis keeps a 13-month history in its archives. You would like a report based on a standard calendar period? Check out our periodic dashboard! You need a report for a specific number of days, or for a period that straddles two (or more) months? We have something for you: the campaign dashboard! This type of dashboard gives you all the flexibility you need. When creating your dashboard, you’ll pick the start and end date of your campaign. You can also choose to compare your results to another campaign. Once the campaign is over, the dashboard will stop importing data. You’ll still have access to it, and you’ll be able to modify it, but the data will be frozen in time. 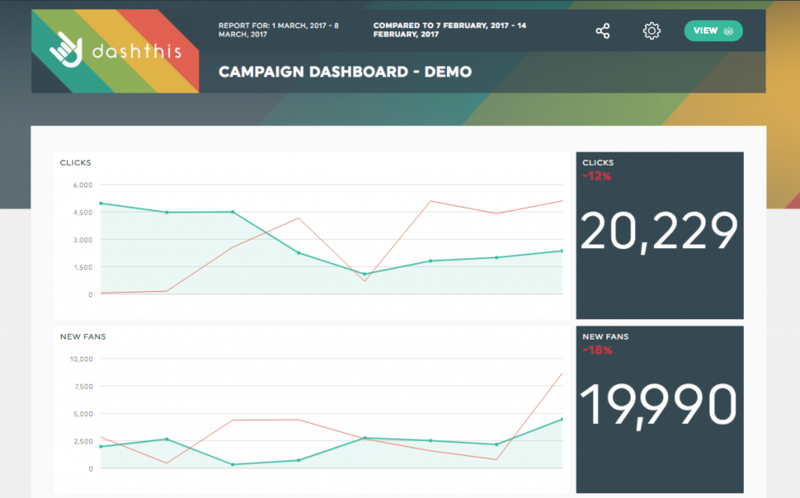 Have a look at a more in-depth article on campaign dashboards if you want more info! Another way of showing the passage of time is on an ongoing basis. This option displays your data over a particular period of time and takes the present day as a starting point. Each period includes three specific time units that are displayed in your widgets so that you can easily follow your data’s fluctuations. This type of data range is only found in our rolling dashboard. Read our article on this type of dashboard for more info! 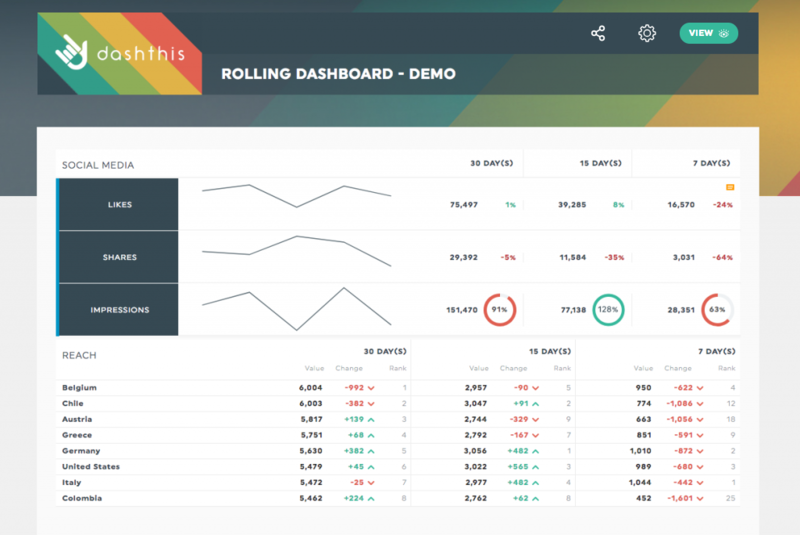 What is a rolling dashboard?